I was surprisingly charmed by Roland's in the Strip District. The online reviews are very negative so I wasn't sure what to expect, but the sixty cent wing, clam, shrimp and oyster special was spectacular. The special runs every weekday from 3-6 and it is a really good deal. 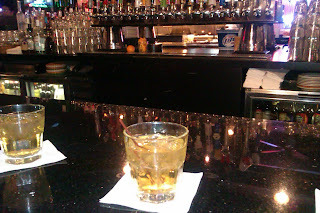 Additionally, just look at that pour on my whiskey on the rocks! I can only name a handful of bars in Pittsburgh that pour drinks like that: Lefty's, Marios and the Mardi Gras in Shadyside. I was late for the sixty cent happy hour special, but the manager had agreed to extend it for our group. I was very sad that they were out of oysters - as a result they gave me extra shrimp, at no charge, after some lighthearted pouting on my part. 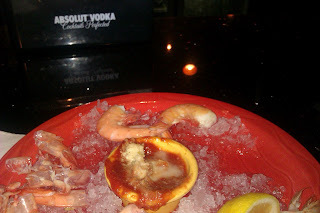 The shrimp were fresh and delicious and the cocktail sauce had a nice kick to it. In addition to the shrimp I tried the pizza and thought it was quite good as well, especially for a seafood restaurant. The only item that disappointed me were the chicken wings. 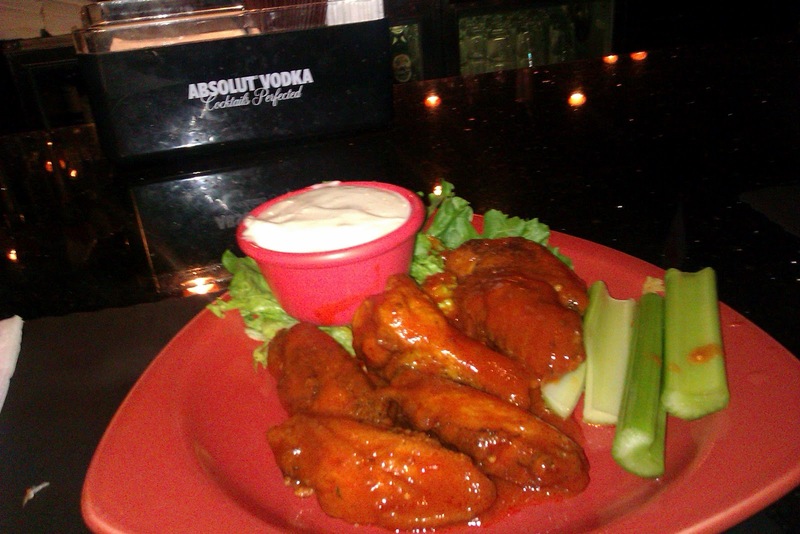 My most common complaint about wings is that they are not crispy enough or the sauce is lousy. These wings were perfectly crisp and the sauce was actually very good.They had a dry rub on them that was very salty. It was just too much flavor when coupled with the sauce. Despite the wings, I highly recommend Roland's happy hour - the snacks are cheap and the drinks flow like wine, quite literally. 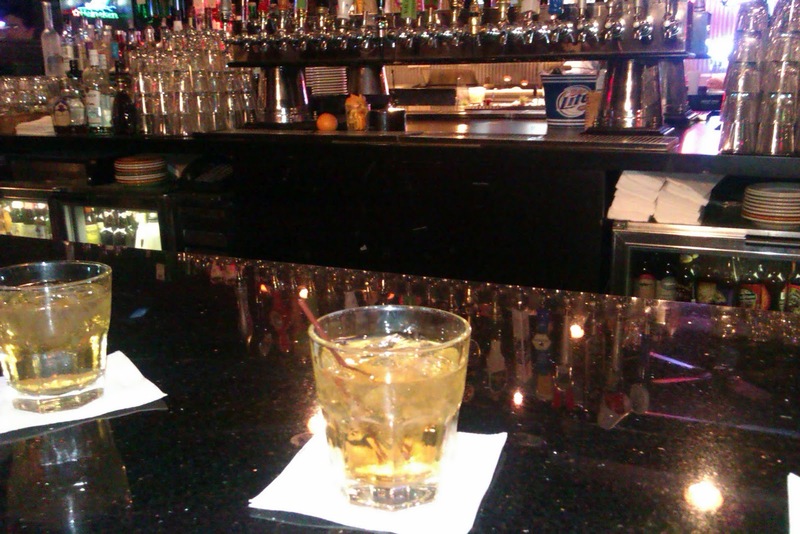 Do you know any other Pittsburgh bars that pour drinks like champions? Let me know.